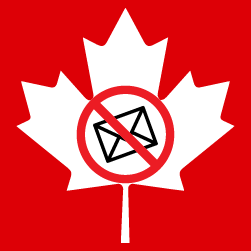 Canada's anti-spam legislation (CASL) came into effect July 1, 2014. Its purpose is to protect Canadians while ensuring that businesses can continue to compete in the global marketplace. The Government of Canada is suspending the implementation of certain provisions in Canada’s anti-spam legislation (CASL) in response to broad-based concerns raised by businesses, charities and the not-for-profit sector. The provisions were scheduled to come into force on July 1, 2017. The provisions, known as private right of action, would have allowed lawsuits to be filed against individuals and organizations for alleged violations of the legislation. The Government will ask a parliamentary committee to review the legislation, in keeping with the existing provisions of CASL. Canada’s anti-spam law generally prohibits individuals and businesses from sending commercial email to Canadians without their consent. Penalties for the most serious violations of the legislation can range from a maximum of $1 million for individuals and $10 million for businesses. “Canadians deserve to be protected from spam and other electronic threats so that they can have confidence in digital technology. At the same time, businesses, charities and other non-profit groups should have reasonable ways to communicate electronically with Canadians. We have listened to the concerns of stakeholders and are committed to striking the right balance,” said The Honourable Navdeep Bains, Minister of Innovation, Science and Economic Development.